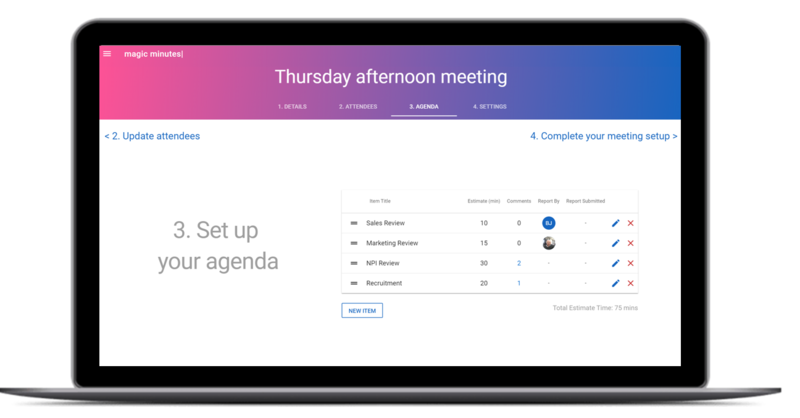 Follow our simple, step-by-step guide to creating and setting up a meeting scheduled for a date in the future. 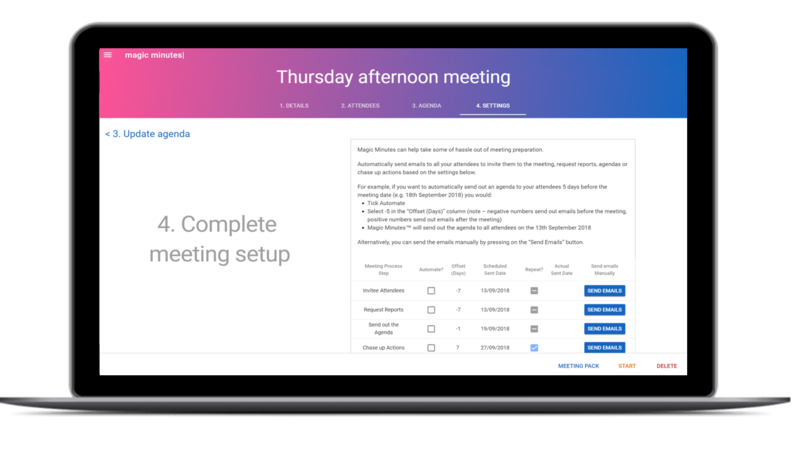 This guide will explain how to create meetings that are set up for a future date. Setting up a meeting involves inputting the meeting details, inviting attendees, creating an agenda, assigning reports, and customising the meeting notifications. 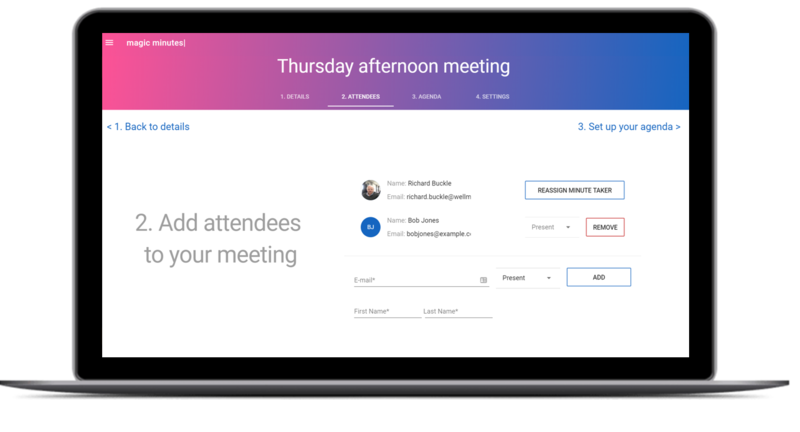 Select a date and time, add a meeting title and location, then invite your attendees. Type in attendees first and last names, and their email addresses, and assign their status as Present, Apologies or Copy Only. 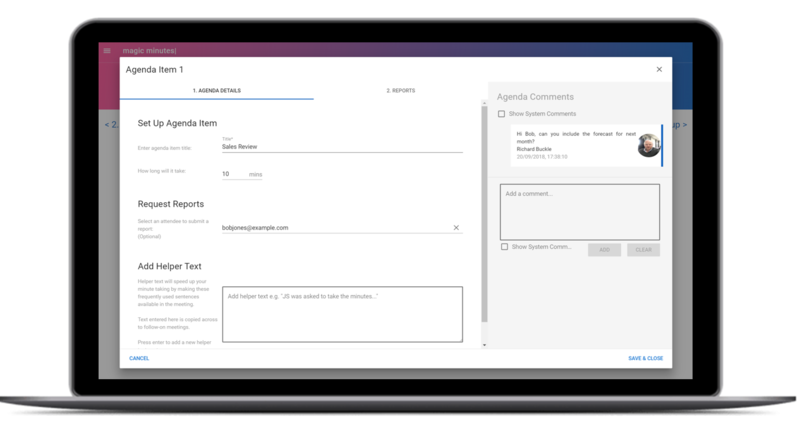 Agenda items can easily be added to the meeting. The order of agenda items can be moved around using the drag and drop functionality. Click on an agenda item to add or edit the details. Click on the report owner to view or download the report. For each agenda item you can edit the title and provide an estimate of the time you would like to spending discussing it. Reports can be requested from attendees. Text Snippets (think frequently used phrases) can be added to help make minute-taking easier. 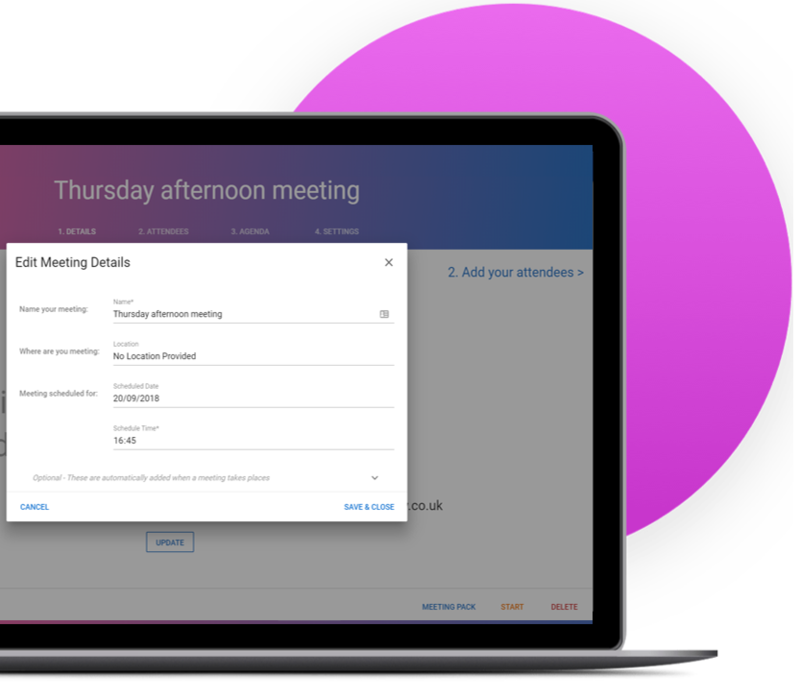 Once you have added attendees and agenda items to your meeting you can complete the meeting setup by editing the notification settings. You can automate when you would like Magic Minutes to send out meeting invites and agendas, request reports, and chase up actions. This can also be done manually should you chose to do so.